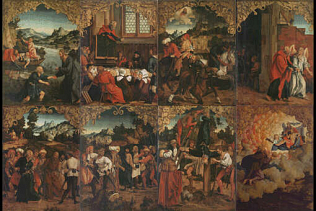 These panels were part of a polyptych with revolving doors, perhaps from a church in Cracow. Painted in 1514/6. At the Uffizi since 1843.